Have you been on the hunt for a good introductory-level real analysis book? Look no further! 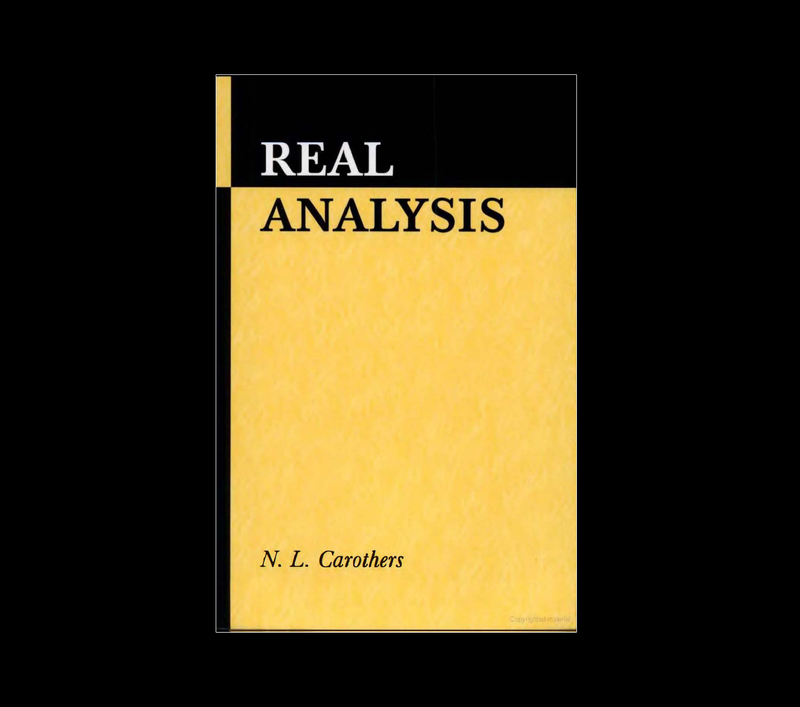 The underrated Real Analysis by N. L. Carothers is, in my opinion, one of the best out there. Real analysis has a reputation for being a fearful subject for many students, but this text by Carothers does a great job of mitigating those fears. Aimed towards advanced undergraduate and early graduate students, it is written in a fantastically warm and approachable manner without sacrificing too much rigor. The text is intentionally conversational (which I love!) and includes plenty of exercises and illustrations, all the while informing the reader of context and historical background along the way. Carothers starts with a review of advanced calculus and then moves on to cover basic point set topology (and a nice discussion on the Cantor set!) with an emphasis on metric spaces and normed linear spaces. The book also has a thorough treatment of functions - including Fourier series - and convergence properties along with a review of major theorems such as Arzelà-Ascoli, Stone-Weierstrass, and the Riesz Representation Theorem. The book then closes with five chapters devoted to Lebesgue measure theory and integration, (I especially found the discussion on absolute continuity helpful.) while about ten of those pages are devoted to Lp spaces. This is enough to cover the highlights, such as Hölder's and Minkowski's inequalities, but I found myself referring to more standard texts (like Rudin or Royden) for more depth. So while more advanced students may find themselves wishing for more rigor throughout the book, Carothers does an exceptional job at convincing students less familiar with real analysis that the subject isn't as nearly as bad as he/she might think!